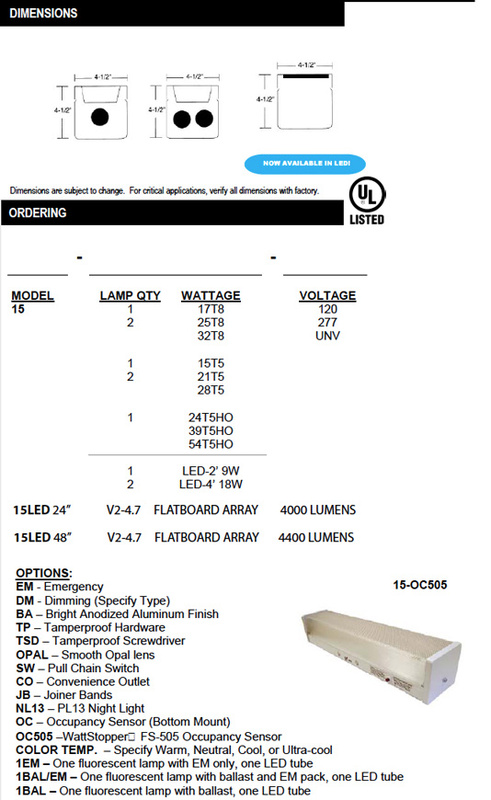 The 15 Wall/Ceiling Luminaire is available in 2’, 3’, and 4’ lengths in 1 and 2 lamp configurations in T8, T5, T5HO or for LED light tubes. 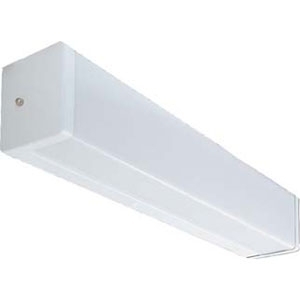 This fixture can be used in numerous energy-saving configurations to provide motion/sound activated, daylight harvesting, and emergency lighting for stairwells. 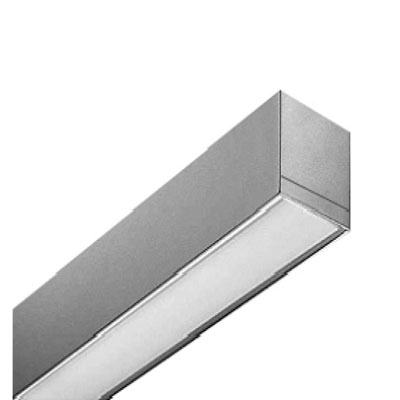 This versatile fixture can be mounted individually, or in continuous rows (with optional joiner bands). Wall or ceiling, vertical or horizontal mounting. 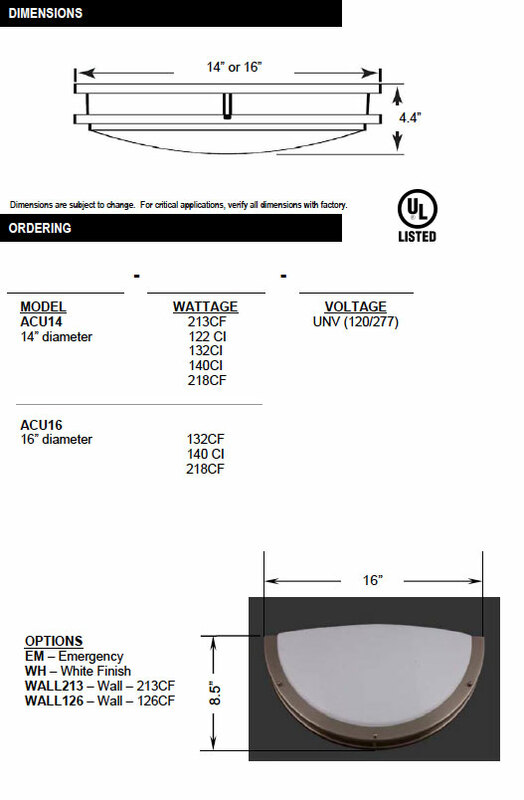 Optional switch and/or convenience outlet for wall mount or auxiliary applications. Tamperproof hardware available for added security. 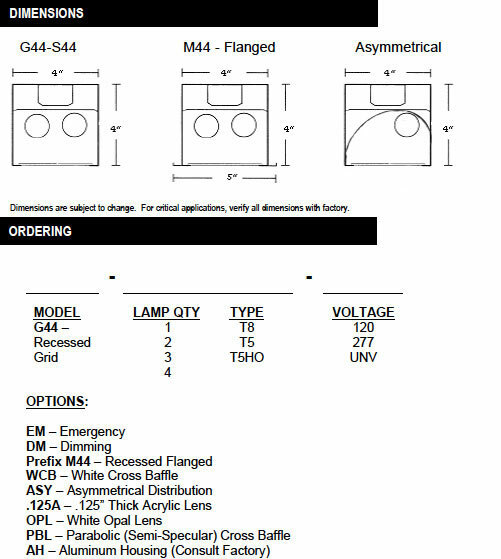 Heavy-gauge die formed steel housing and ends. Extruded clear diffuser with prismatic bottom and linear ribbed sides. Optional smooth opal diffuser available. 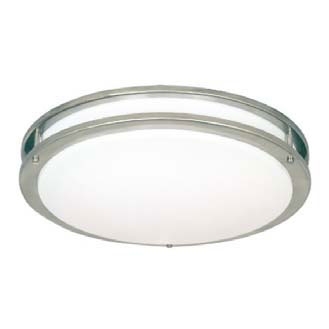 Reflector wire cover finished in premium grade white enamel. Housing also available in bright anodized aluminum.